Social Media Marketing has been a dominant marketing strategy in recent years. With advancements of technology in web, now social media marketing has been predominantly used by business to capture leads. Major portion of market is still not captured as per the recent surveys. This article describes the importance of social media marketing and how top brands are using social media. Major idea for companies looking through social media marketing is engagement with customers. As customers increase, automatically there is a increase in leads for lead generation campaigns that are carried out by companies. Even the top Inbound marketing specialists are suggesting social media marketing as the optimized marketing strategy online. 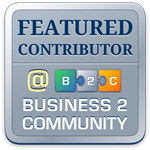 Web 2.0 has paved the way for businesses to spread the information about their business online. Using these applications, companies have been successful in staying ahead of their competitors and capturing major portion of market share. Major brands like Pepsi, Coca-cola , Ibm, Microsoft, GE, and Google are using these social media marketing tools as part of their marketing strategy. As search engines have started indexing social media marketing content, it is very easy for companies to get found online through this social media marketing strategies that involve less budgets and more recognition. If taken example of Major brands such as Coca-cola, this brand has been using twitter predominantly to attract their customers through twitter. Companies such as IBM also are using blogs, twitter, flickr and Youtube to market their products. These social media marketing tools have been an ideal source of marketing for them online as they have a predominant influence on their marketing strategies compared to other traditional marketing strategies. Bing has been using facebook fan page for attracting their customers. If you see the facebook fan page of Bing, You would be surprised how seriously bing has been influenced by social media. Not only that social media marketing has also increased popularity because now major search engines like Google have started indexing social media content. So these social media communities have been used successfully to get into top pages of search engines. Marketing Takeaway Tip: Social media marketing has been an optimized marketing strategy online. Still there is a major portion up for grabs. Consult the inbound marketing specialists to get the best marketing strategies to promote your business online.